I'm trying to develop some application using object toolkit(from parametric 3.0) via c++. Started from the building of async examples. I did read in the User Guide, that it's better to perform developing in async mode due to ability to debug your application. I'm using Visual Studio 2012. sync examples were executed OK. I added following to "Debugging > Command Arguments > "$(PRO_COMM_MSG_EXE)\pro_comm_msg.exe" .text\"
At this point, it would be great to debug my program and find out an exception or some other additional info. It's time to point #2. 2. There are no debugging symbols for object toolkit libs. I don't know exactly why you can't attach your debugger, but I suspect that your code was not compiled for debugging. 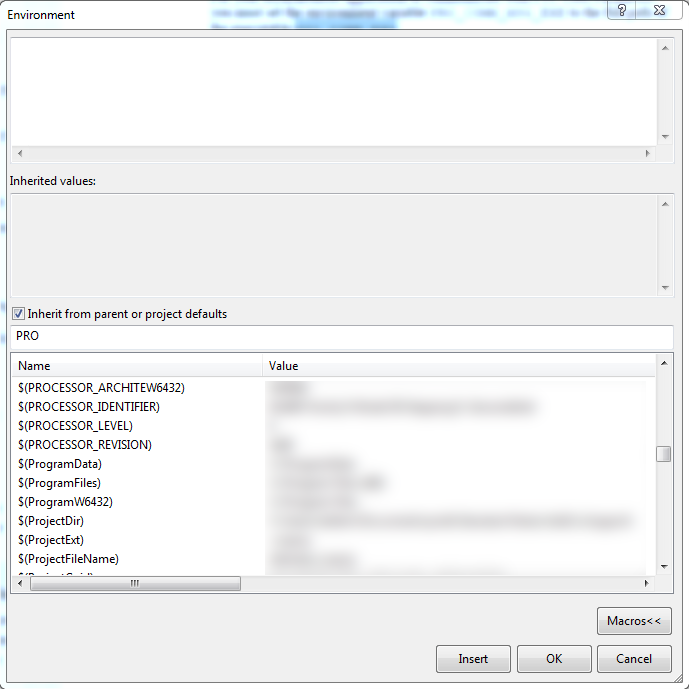 In Visual Studio, I typically have two configurations for each project: Debug and Release. Most of the time, I build and test the Debug configuration. When I'm ready to let my end users test the code, I build them a copy using the Release configuration, which does not have the extra data needed for debugging. This is a typical work pattern in Visual Studio. Keep in mind that Visual Studio typically writes the Debug and Release output in different folders, so you also need to edit your .dat file entries accordingly. There are several things I'd like to mention in response to your post. Multiprocess mode involves more communications overhead than DLL mode, especially when the PTC Creo Object TOOLKIT C++ application makes frequent calls to PTC Creo Object TOOLKIT C++ library functions, because of the more complex method of implementing those calls. However, it offers the following advantage: it enables you to run the PTC Creo Object TOOLKIT C++ application with a source-code debugger without also loading the whole PTC Creo executable into the debugger. Synchronous Multiprocess mode is not the same as Asynchronous mode. In Synchronous Multiprocess and DLL modes, the program runs "inside" the Creo Parametric session, usually from ribbon UI or other menu selection. In Asynchronous mode, your program starts by itself and either launches a new Creo Parametric session or connects to an existing one. 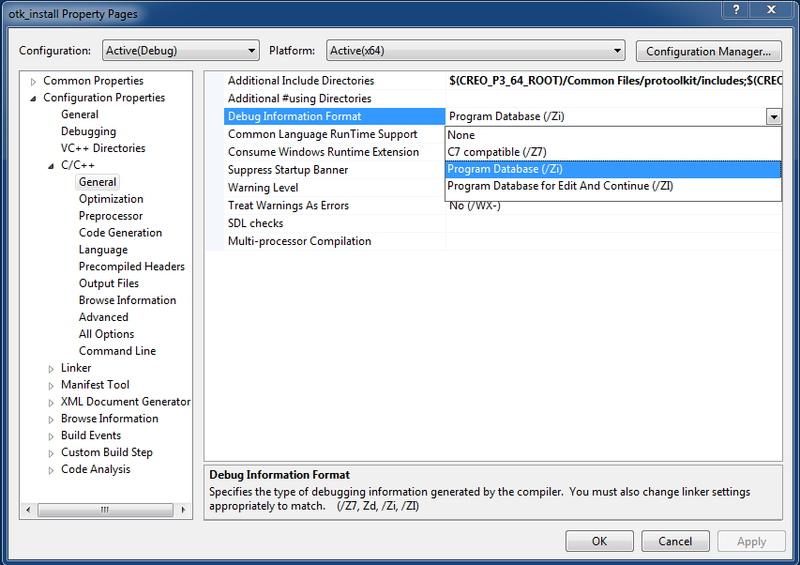 In other words, synchronous mode means that Creo runs your program, and asynchronous mode means your program runs Creo. It sounds like, for now you're working on an asynchronous example. I don't know why you use those values as your command arguments. Would you type those values if you ran your program from the "C:\>" prompt? If your program does not need command-line arguments, then you should leave Debugging > Command Arguments blank. Create the PRO_COMM_EXE environment variable in the System Control Panel. Unless I'm misunderstanding something, PTC doesn't provide debugging data for its toolkits, and you shouldn't need them. I hope this helps - good luck! Debugging a synchronous dll is what I always do. You can visit the following URL which contains a PDF. 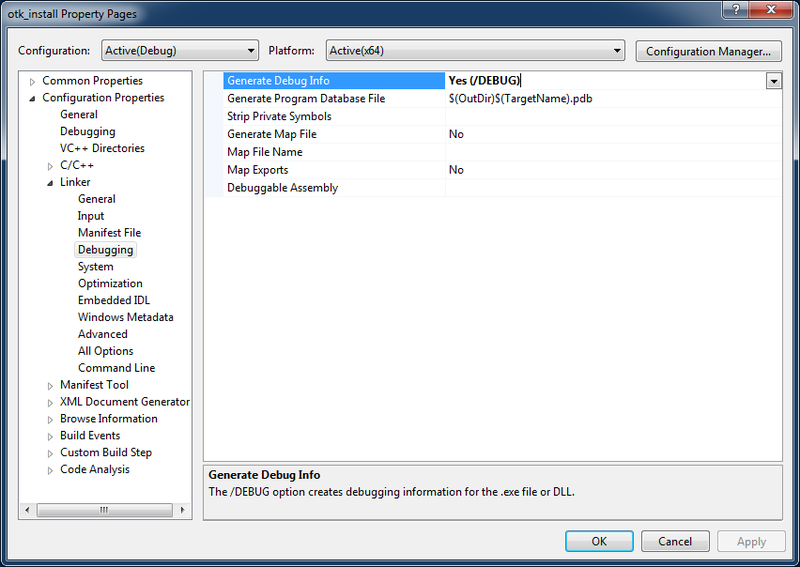 This PDF contains instructions on how to use Visual Studio and attach it to Creo to debug a dll. Now I realized, I don't need async mode to debug. I switched to a synchronous Multiprocess mode. I can attach debugger from Visual Studio to the process of my application. That's nice! Nevertheless, I can't use debug features(breakpoints, step in, step over etc) with my application. I have to put several std::cout calls to understand where exception appears. It's annoying. Patrick, thanks for the link, I left registration request there to get an access to the PDF file. I had both options with incorrect values. Now it works perfectly fine! I'm trying to debug the protoolkit example called pt_async. It has a make file. I can build it and create pt_async.exe. But it fails during run so I want to debug it. If I right-click on make_async in the Solution Explorer of VS2015 and select Properties, I get only 4 options under Configuration Properties - General, Debugging, VC++ Directories, and NMake. I do not have the C/C++ or Linker options that you identify. What to do in this case?